It’s all fun on Twitter today, June 29, after Adisadel College emerged winner at the 2016 National Science and Maths (NSMQ) quiz. 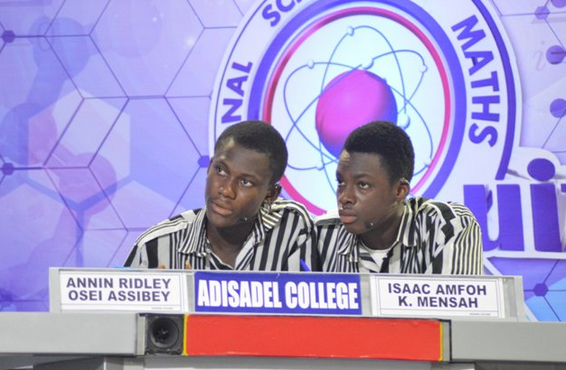 The competition which was held at the University of Ghana saw Adisadel College win by 44 points as against Opoku Ware School and Mfantsipim School who had 38 and 37 points respectively. On hearing this, Twitter exploded with bunch of congratulatory messages for the Adisco boys. Below are some of the tweets Ghanafuo.com gathered for you. Share your views with us. SantaClaus came early for the boys from Cape Coast. Congrats to the #NMSQ2016 winners, Adisadel College. Hail Adisco! So this is ADISCO’s first time winning? Oh kk…..I can understand the jubilation.